sd00:17European roller, Coracias garrulus perched on a branch with fluffed up feathers - close up. 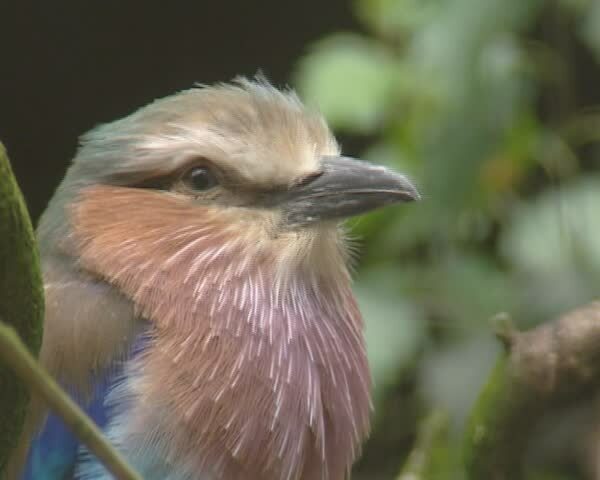 The European roller is a bird of warmer regions. sd00:11A hawk turns its head and then looks away.